PRSA now offers a application to help guide public relations professionals in making ethical decisions. The Public Relations Society of America (PRSA) Code of Ethics mobile is now available in a mobile app, developed in partnership with MSLGROUP. The app is designed to be an easy reference that members can turn to quickly at any time as part of their daily practice. 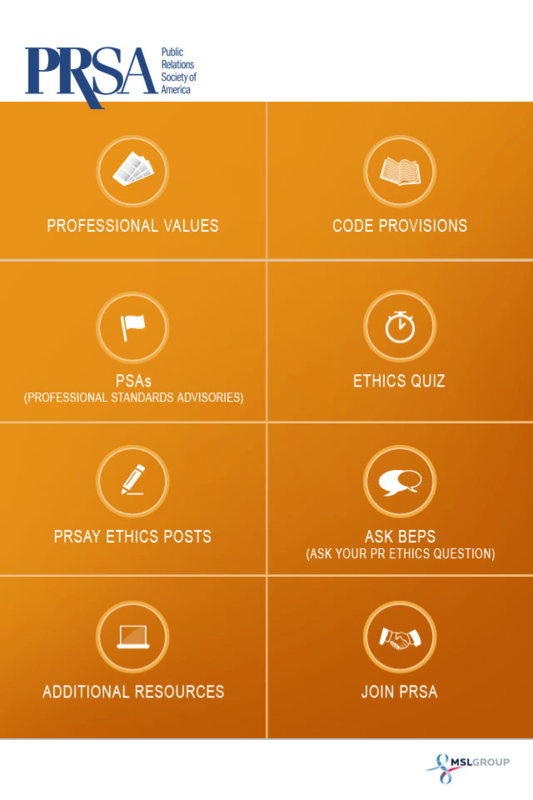 The PRSA Ethics app is based on the PRSA Code of Ethics, public relations’ oldest code of professional conduct. Written in 1954 and updated in 2000, the PRSA Code of Ethics guides the behavior of PRSA’s 32,000 professional and student members and continues to serve as the de facto ethical guide for the profession. Other features of the PRSA Ethics app include a communications ethics quiz; an RSS feed that automatically pulls-in PRSA ethics-related blog posts and new “Professional Standards Advisories,” which offer timely guidance on emerging ethics issues; and email access to PRSA’s Board of Ethics and Professional Standards (BEPS), the committee responsible for developing recommending refinements to PRSA’s ethical standards. The PRSA Ethics app is available free in Google’s Android Market and Apple’s App Store and can be accessed from iPhone, iPad and Android devices.